Sometimes recipes just don’t work out for everyone. Despite my best efforts to share only recipes that my family loves, not everyone else loves them. It’s just how it goes. We all don’t have the same tastebuds, so it stands to reckon that you all won’t love some of this stuff as much as I do. Such was the case with a recent recipe I shared for PEPPERONI PIZZA PUFFS. My family really likes them. My friend’s family, on the other hand, were not exactly clamoring over each other for seconds. In fact, they were spitting them out. Huh? What happened? Was that the same recipe I shared? Yes indeed, it was, and they were not digging it – at all. After some back and forth, we realized that she was using a different brand of Italian Seasoning than I was and hers seemed to be much stronger in flavor than my brand. So not all Italian seasoning is created equal. All good information to know so that I could make a note on the recipe for others. Preheat oven to 375F degrees. 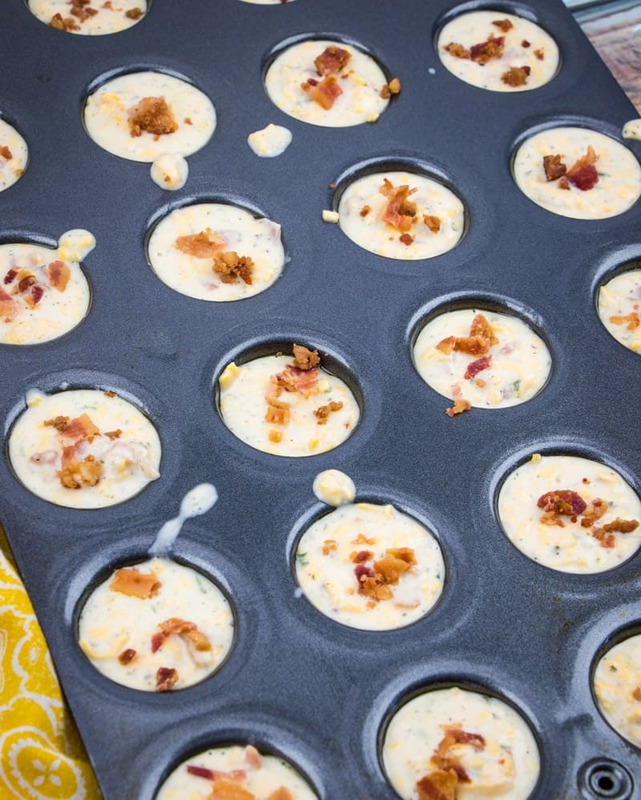 Get out your mini muffin tins. This recipe should make 24 puffs. Now, not all mini muffin tins are created equal. 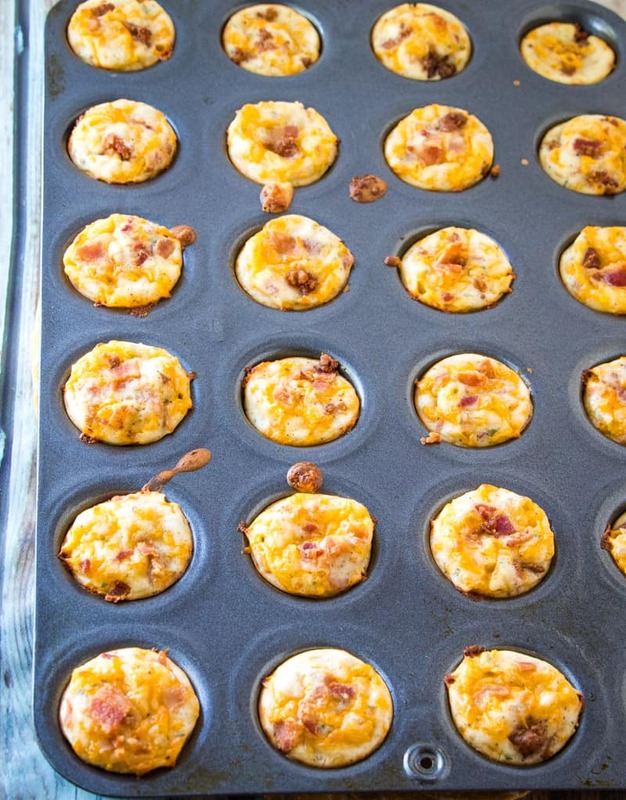 Spray those mini muffin tins with nonstick cooking spray. 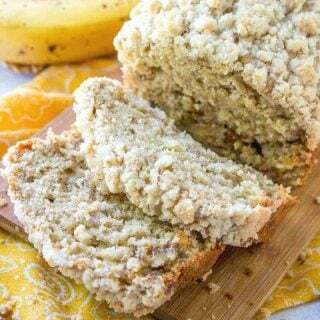 In a medium bowl, combine flour, baking powder, garlic powder, parsley, salt and pepper. Give it a quick stir to combine. Then pour in milk. Lightly beat the egg. Then add beaten egg to the batter. Stir well to combine, then add in shredded cheese and crumbled bacon. Stir to combine again. Then allow batter to rest for 10 minutes. Then scoop batter into mini muffin tins. I like to use a spring-release cookie scoop but spoons work just fine too. Now, this next part might seem a little OCD but I like to add a small piece of bacon onto the top of each puff before I put them in the oven. 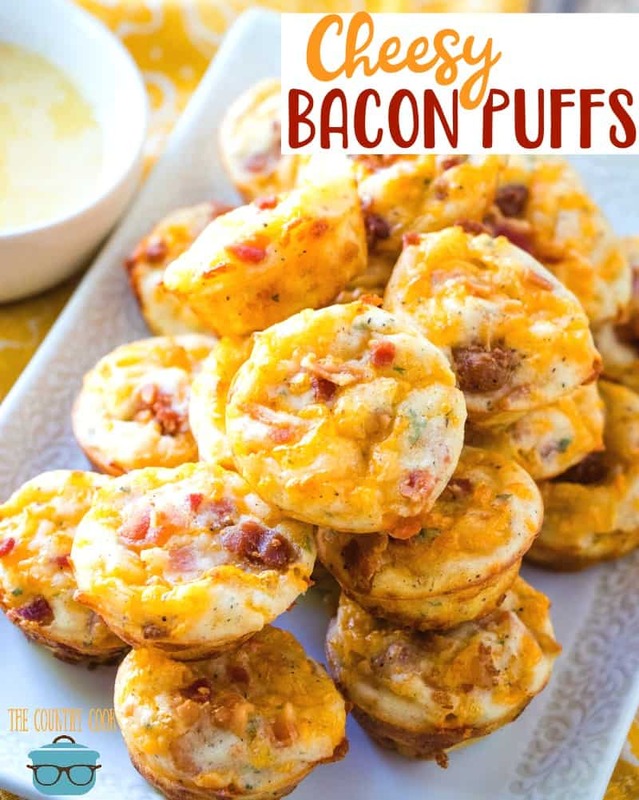 It not only makes sure everyone gets a bite of bacon in each puff but it makes ’em look pretty and kinda gives folks an idea of what they are eating. Bake at 375F degrees for about 20 minutes. They should spring back to the touch when ready. Still not sure if they are done? Stick a toothpick in one. If it comes out with batter on it, it needs to bake for a few more minutes. And serve. Now, this next part is totally sinful (and totally optional.) To make a dipping sauce, combine 4 tbsp. melted butter with 1 tsp. garlic powder. Stir well. Cook’s Notes: Feel free to use pre-shredded cheese and the pre-cooked bacon for this if it makes your life easier. I sometimes like to fry up a whole mess of bacon at one time so that we have it for the next few days for breakfast or BLT’s. 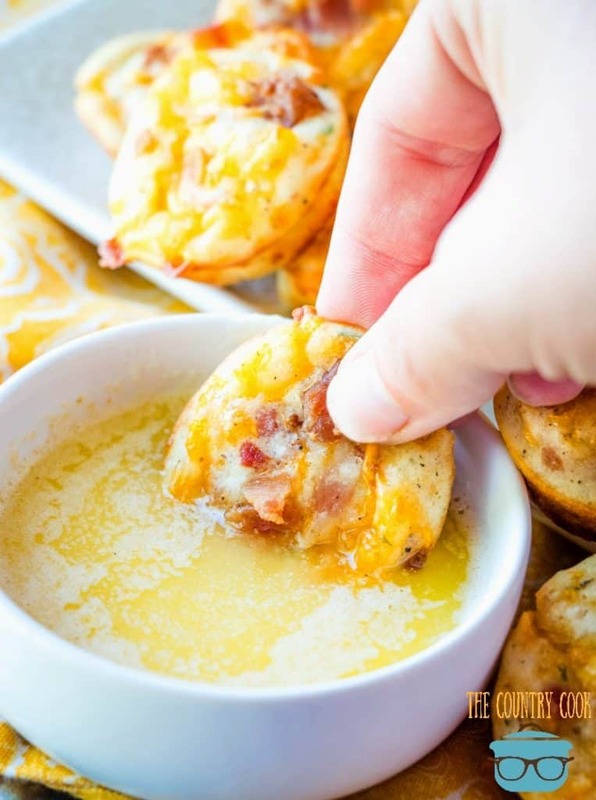 Cheesy Bacon Puffs are a homemade appetizer or breakfast stuffed full if cheese, bacon and seasonings. 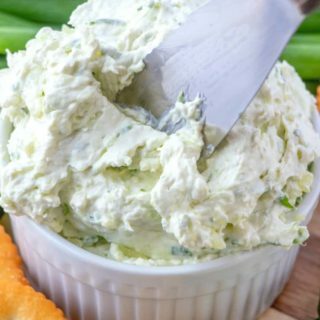 Perfect for dipping! Spray a mini muffin tins really, really well with nonstick cooking spray. In a medium bowl, combine flour, baking powder, garlic powder, parsley, salt and pepper. Give it a quick stir to combine. 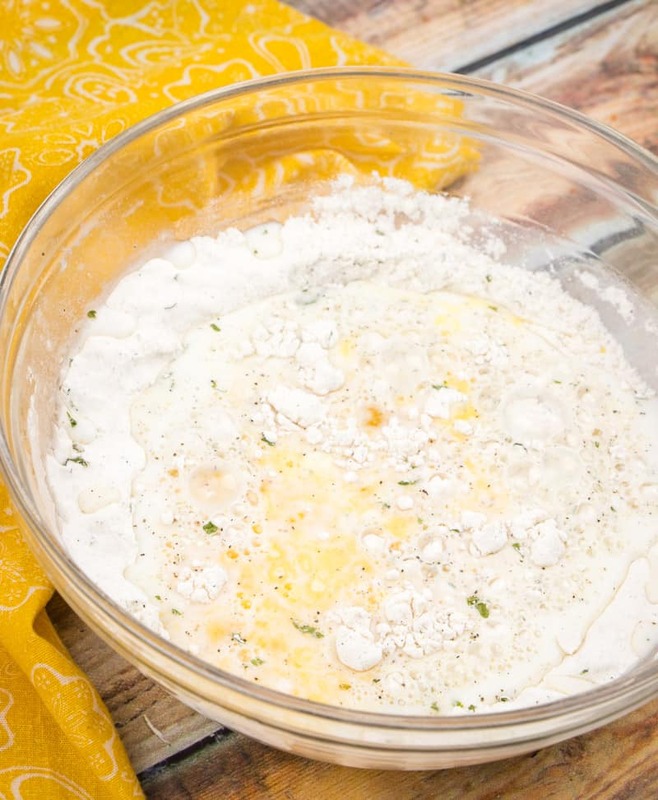 Lightly beat the egg and add beaten egg to the batter. Stir well to combine then add in shredded cheese and crumbled bacon (set aside just a few pieces of the bacon to add to the tops.) Stir again to combine. Then allow batter to rest for 10 minutes. 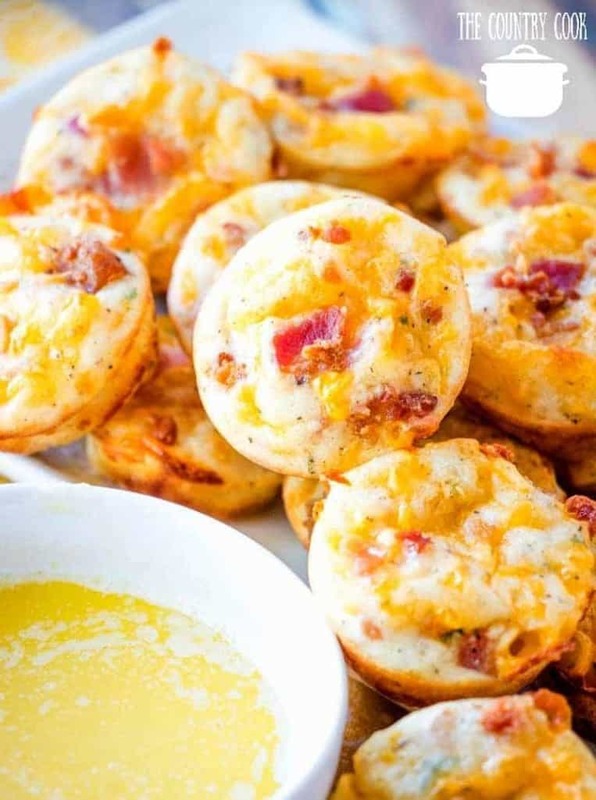 Top each muffin puff with a small piece of crumbled bacon. Bake at 375F degrees for about 20 minutes. They should spring back to the touch when ready. Still not sure if they are done? Stick a toothpick in one. If it comes out with batter on it, it needs to bake for a few more minutes. Shortcuts: Feel free to use pre-shredded cheese and the pre-cooked bacon for this if it makes your life easier. 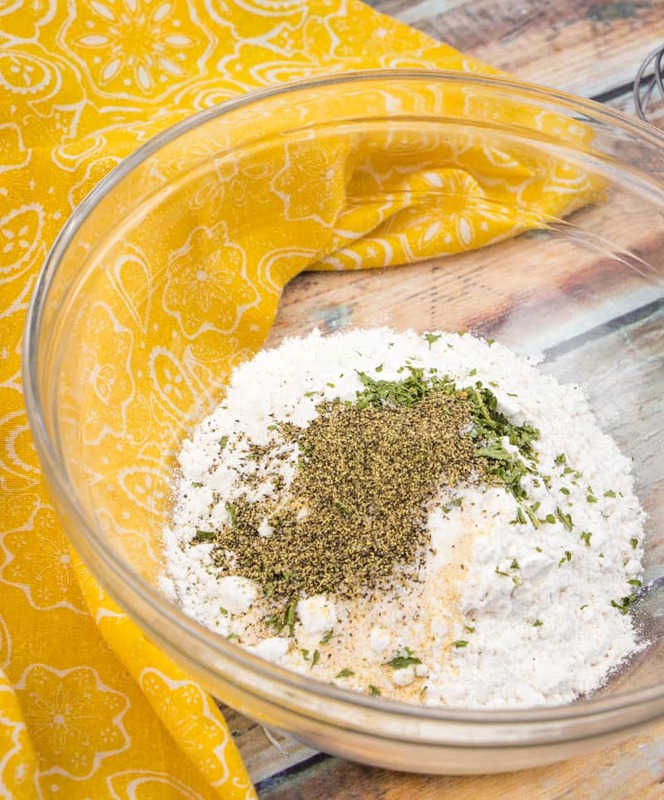 Instead of garlic powder and dried parsley in the puffs, use a packet of ranch dressing mix instead. Combine 4 tbsp. melted butter with 1 tsp. garlic powder. Stir well. CRAVING MORE RECIPES LIKE THIS? 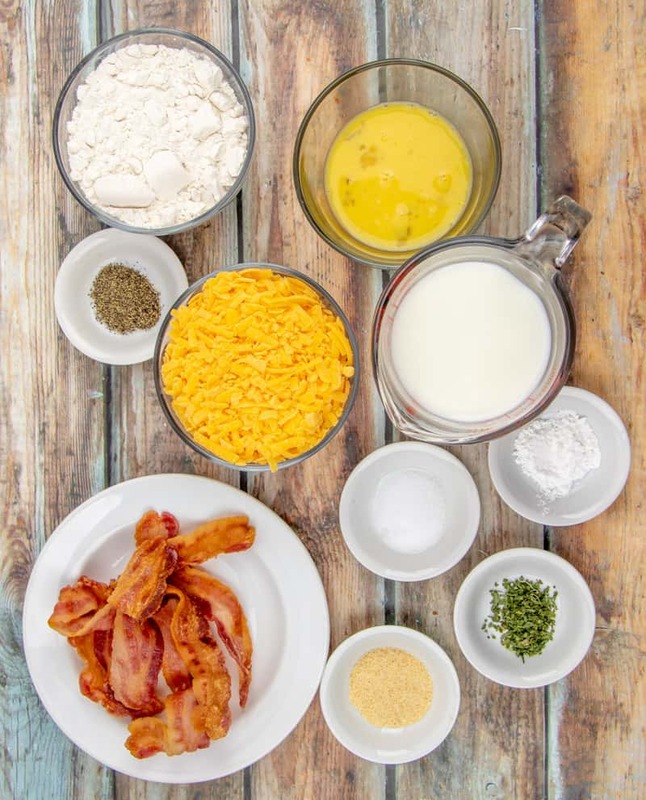 Bacon and cheese- how can you go wrong? These look soooo good! Thanks for posting! Mrs. Baker, you always make my day! Thank you so much for that! Hi Brandie! I was going to write a comment on the Pepperoni Pizza Puffs, so I'll do it here! They were a big hit with our family! Everyone loved them, including the hubs! He said it was a keeper! Now I'll have to try this recipe, too! I'm sure it will be equally delicious! Thanks for sharing! Blessings from Bama! These sound so good and I will definitely pin them! I have a question though. I'm curious why only 2% or higher milk? 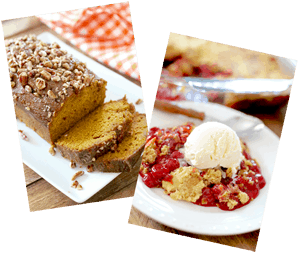 Thank you for all the wonderful recipes you share! 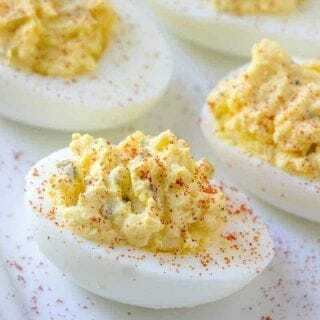 I love this revised recipe, and these would be perfect for Easter Brunch! Thanks for your hard work. Thanks Rebecca Ann 😉 Hope you had a great birthday too! I get so upset when I make someones recipes & it comes out awful. It's almost like "no way could you have made this before posting!". Thank you Nana! I sure do appreciate that and I promise, I do try these recipes out several times to make sure I'm getting it right. There are some things that are out of my control like super strong Italian Seasoning (ha ha) but it was good info. to know to help adjust that recipe. I appreciate your kind words! Hope you love these! well we loved the Pizza Puffs at this house but I will admit we used Canadian bacon because the hubs prefers that to Pepperoni. 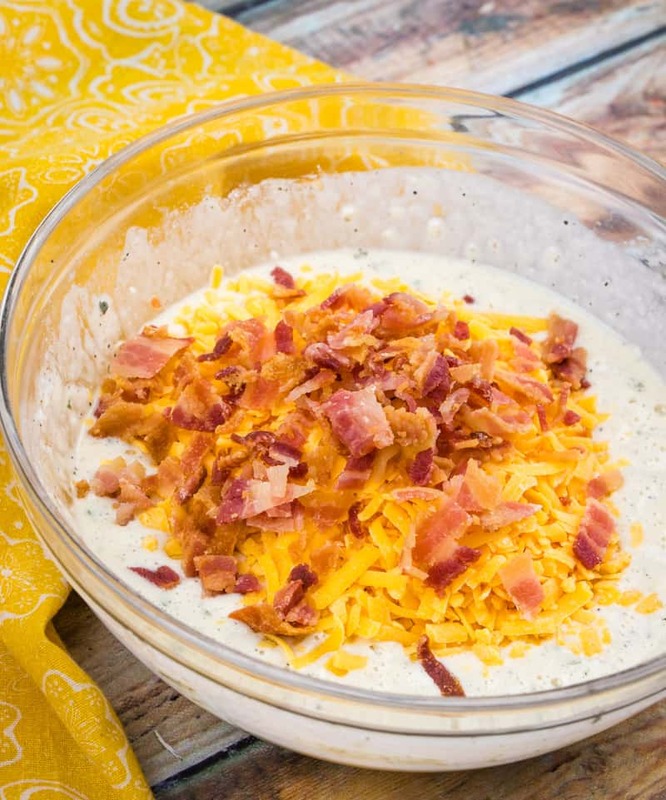 And we are gonna' love these cheesy bacon pieces of goodness as well! I like that idea Kelli! Haha – I totally agree Elizabeth! Thank you! This recipe looks so good. No one in my family likes pepperoni, so I didn't try the Pizza Puffs. We all like Canadian Bacon so I am going to take Kelli's suggestion and try making them with that. Got off track there, what I wanted to ask was would the Hormel real bacon pieces work in this? 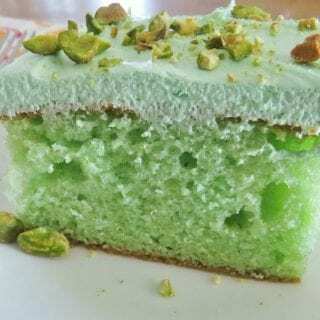 Thanks and I LOVE your site and your recipes! Have you tried making these in a regular muffin tin? Just wondering if any adjustment might need to be made to make them a little larger so that one puff would be a serving. Going to make these for a family birthday party this weekend! Can you make these ahead of time and freeze them? Then to heat them up, would I want to put in microwave or oven to warm up? I don't want to have them soggy, so wanted to ask what everyone thinks. If you make a whole batch, try heating one each way to test, then eat both yourself! I have tried this with a little twist. I added a couple of Tablespoons of Jalopenos diecd up,an a half cup of creamed corn.used less milk. Turned out great. 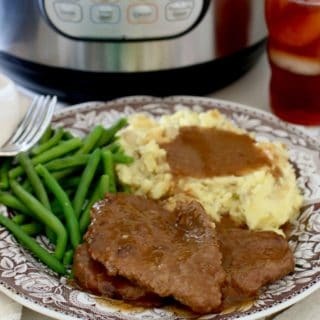 My guys are going to love this recipe, Brandie. 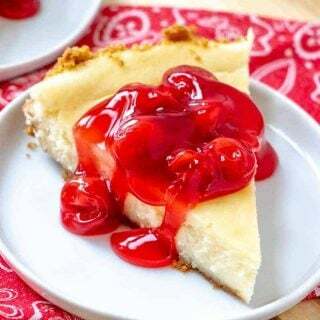 Can’t wait to make some! I had no bacon on hand:( but I did have a lb. of Johnsonville mild sausage on hand, so browned it up, drained it really well and used the sausage in place of the bacon…….Delicious. Note: freshly grated cheese is the best. It melts better than the packaged stuff. I am wondering what the backing time would be if you made regular size muffins. 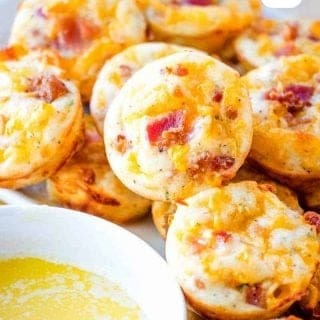 I don’t have a mini muffin tin but would l love to make these for a great grab and go breakfast.